The 2008 political season is in full swing and it’s been an unforgettable year so far. Watching the first African-American to accept a presidential nomination at the Democratic convention last week was staggering. It was an incredibly important historical moment that I wasn’t sure I’d ever see in my lifetime. 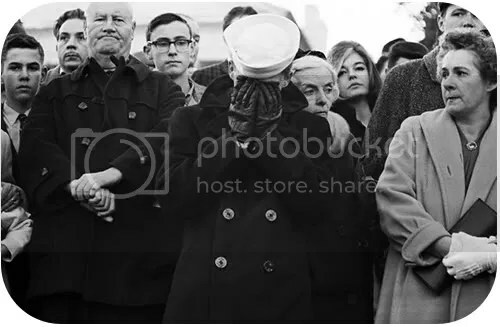 Like many Americans I’m extremely weary of the entire political process, but watching political campaigns unfold is an opportunity to watch history in the making and I’m fascinated with American history. My fascination with history is what recently led me to watch three interesting historical documentaries about John F. Kennedy. The films are part of the The Robert Drew Kennedy Films Collection – JFK Revealed which Docurama Films just released as a nicely packaged DVD set. The three films included in this collection are Robert Drew’s Primary (1960), Crisis (1963) and Faces of November (1963). The 2-disc set also contains some impressive extras such as lengthy audio commentaries by Robert Drew and his cinematographer Richard Leacock. And a behind-the-scenes film called The Originators that features the director and his film crew at the time which included two of the most important documentary filmmakers of the sixties, D.A. Pennebaker (Don’t Look Back (1967), Monterey Pop (1968), Ziggy Stardust and the Spiders from Mars (1973) , etc.) and Albert Maysles (Salesman (1968), Gimme Shelter (1970), Grey Gardens (1975), etc.). Watching these three films together offers interested viewers an opportunity to watch history unfold in a way that is often more thought-provoking and honest than many modern documentaries. They also reminded me of how brief President Kennedy’s time in office was and how much he managed to accomplish during those few years. There is a stark quality to all the films that makes them resemble old newsreels and that could be distracting to a few viewers but if you’re interested in American history and politics these films are definitely worth a look. Director Robert Drew is one of the leading figures of the North American Direct Cinema movement and besides their obvious historical importance, the three films featured in The Robert Drew Kennedy Films Collection showcase groundbreaking documentary techniques that have become commonplace now. 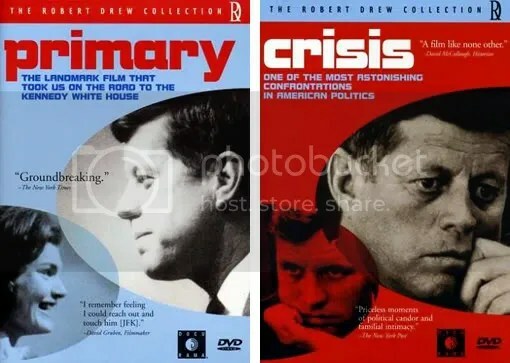 The Robert Drew Film Collection – JFK Revealed is currently selling at Amazon for $26.99 and you can also find the films available for rent at Greencine and Netflix. And now for a real comment. Kimberly, I love political docs, always have. I saw Primary years ago in college (now they probably just The War Room) and like so many other political docs I’d like to add it to my collection. So good to hear they are coming out on DVD. I never saw Crisis or Faces in November but would love to. As for the religion and politics theme you mention early on I am becoming more and more weary of it. It seems the Republican Party at this point has become the Official Bible Party and it sickens me (and scares me a tad too). McCain has sold every value he once held dear down the river for a glimpse of power. His once distaste for the religious right is now apparently gone since it’s half of his ticket. Pathetic. Thanks for the “real” comment Jonathan. I deleted the spam, which is getting worse lately. Crisis was easily my favorite of the three films so I highly recommend giving it a look if you’re interested. I still need to see The War Room myself but Bill Clinton’s presidential campaign is almost the stuff of legend. Religion and politics have never mixed well and I’m deeply bothered about the way that so many American people seem to be accepting the two together – actually demanding them – now. I might not be as bothered by it if all religions were treated equally in this country but obviously that’s not the case. I thought that recent Saddleback Forum that McCain & Obama attended was just offensive to the entire concept of democracy. McCain’s total disconnect is plain strange. Maybe he’s suffering from some kind of dementia like Regan and Thatcher? We live in scary times. I’ve long been fascinated by American politics and as my wife Susan is American, I’ve been following events with an even keener interest on UK TV. 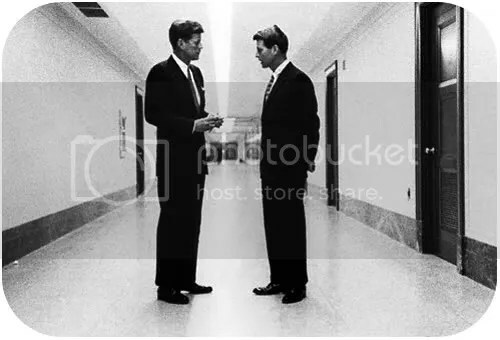 Susan greatly admired John F. Kennedy and your description of the Robert Drew Kennedy Films Collection tells me we would both be interested in owning the set. Maybe he’s suffering from some kind of dementia like Regan and Thatcher? He is! I’m convinced of it. I don’t think he is in control of one decision with his campaign. I think the crazy extremists just went ahead and picked Palin for him, no vetting, no nothing. I think it will turn out to be a disaster for him personally, at least that’s what I’m hoping. Sadly though, some polls show a still alarming rate of white Americans over 55 (and I’m not intending any offence to older white readers of this blog as the results do not apply to all of them) that will not vote for a black man as President. With people in their forties and under the majority have no problem with it. It’s once you hit the fifties and especially mid-fifties and up that the majority starts saying things like they won’t vote for Obama. And when you get to the eighties, oh boy! It’s like 90% have a problem with it. How indescribably sad. I just hope there are enough people in their fifties and up who have no problem with it who get out and vote and EVERY young person needs to get out and vote as well. That’s my biggest worry: Too many eighteen years old through the twenties won’t get out and vote, especially since so many will be in their college town where they’re not registered to vote. Steve – I hope you get to see these films sometime. I think you’d enjoy them. Jonathan – Thanks for depressing me! I kid of course. 😉 I share many of your own fears. I can only hope that those old folks also have problems voting for women as well and that will level the playing field a little. Thinking about what America will look like after 4 more years of Right-wing Republican rule is enough to make me nauseous. Ya… I’m a little angry and sick to my stomach at the moment. I have trouble watching these, honestly – I last saw “Primary” in the early 90’s on a bad VHS, and I was still disturbed and depressed, which was the result for me on all of these; altho I managed to see all of them on too many occasions – it was traumatic for me as a kid to have gone through all that, and it still bothers the hell out of me, especially the scenes with Bobby, whom I really liked. 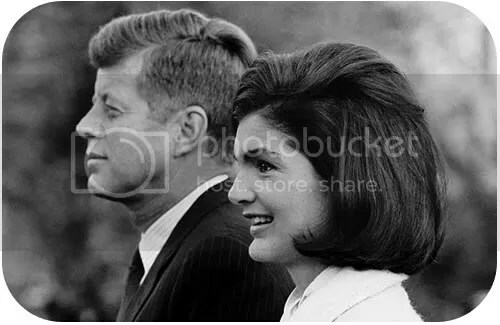 I wasn’t a big fan of the Camelot aspect, but the hope of promises realized has sadly not been fulfilled, at least for me and most of the other citizens of the USA whether they realize it or not. Thanks, but no thanks to these – once seen, not forgotten, which isn’t something I decided long ago I don’t really need.